In recent years, new services have emerged to bring individualized music programs on iPods to residents in long-term care. As a music therapist who loves bringing music in all forms to older adults, I have a few thoughts to share. Is it a good idea to provide iPods with individualized playlists to residents in long-term care? Yes. Should all long-term care residents have access to this kind of program? Yes. Can individualized iPod playlists replace music therapy? No. The thing is, individualized iPod playlists and music therapy are two different animals. Each has its own advantages and disadvantages. Individualized playlists place a premium on individual choice and accessing music at any time. Residents get the chance to hear their chosen music at any given time, regardless of what’s on the activity schedule or the radio. They can have special music to relax when they’re feeling agitated (like bath time), and music to energize when they wake up in the morning or get ready to do their exercise. Because the playlists are individualized, they can choose music based on their preferences: love Frank Sinatra? You could fill hours listening to his music. Hate that big band stuff the older residents love? Then fill your iPod with Lynyrd Skynyrd and the Eagles. Advantage: Music is available whenever needed or desired. Disadvantage: It does little to build relationships with others. Music therapy places a premium on relationships. Residents find common ground and shared experiences with the other people who participate in music-making with them. Advantage: Music therapy nurtures relationships. Disadvantage: You can’t have a music therapist around the clock. Individualized playlists are a tool to be used by residents (perhaps with the help of nursing staff) to meet their individual needs at any time of day. On the other hand, music therapy is a process, a medium for relationship-building experiences that also promote well-being and nurturing of the individual resident. Both are good. Both are necessary. Here’s my suggestion: hire a music therapist. Your music therapist will get to know your residents personally through the assessment process. Your music therapist can help you figure out what kind of equipment to buy to make an individualized iPod playlist program a reality in your facility, and she/he will already have a good idea of what kind of music would be helpful for your residents. Your music therapist can even provide an inservice to your staff to help them know how to help the residents use their iPod playlists effectively. All the while, your music therapist will be providing a stellar direct music therapy program to help residents build relationships and experience music in a healing way. If you’re in the Kansas City area, I would love to help you build a program to provide individualized iPod playlists to your residents and/or provide direct music therapy services to your residents! Please contact me for more information. 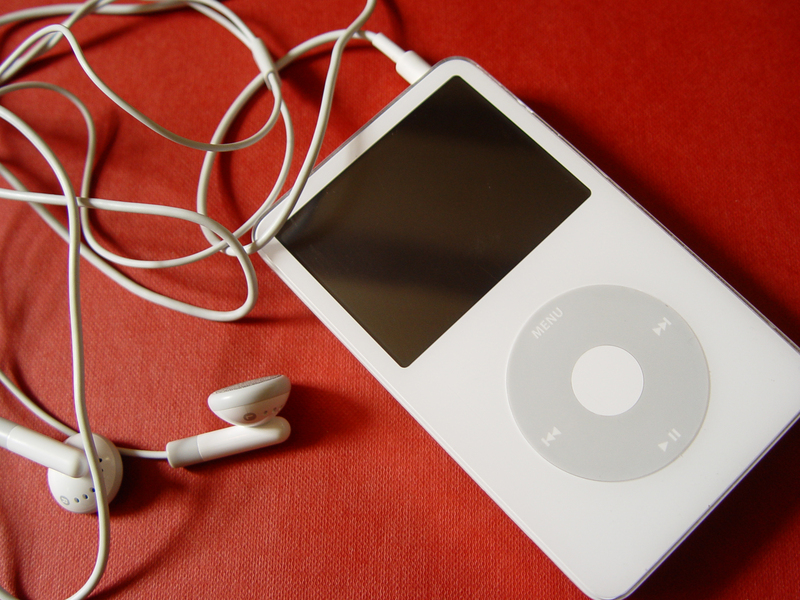 What do you think about using iPods in long-term care? Do you see a place for both iPod playlists and music therapy? Please share your own thoughts and experiences below! Amen! Well said. There is definitely room for both. And, you are spot on for reasons to employ a music therapist. For those in the Hays, KS area I am welcome an opportunity to assist you in developing a iPod program. I agree that It is not one way or another to implement the best possible solution for the residents/clients/patients. And I liked how you stated “tool” vs. “process”. Thank you, Rachelle– I’ve always enjoyed your posts!